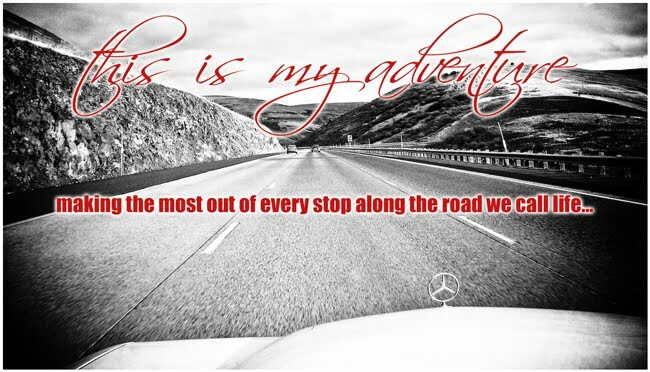 This is my adventure. 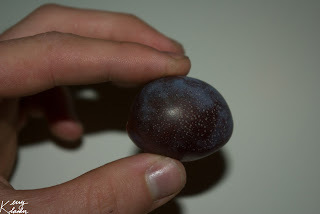 : Is it a plum? This afternoon, I was in my driveway working on the Benz when I noticed a tree with fruit in the yard. Somehow I hadn't seen it before. 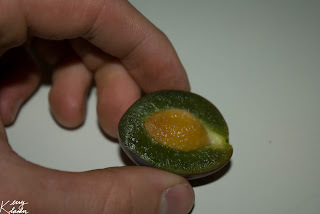 It has what look like little plums on it. I picked one to inspect closer. Similar in size to a golf ball, purple outside, green inside (not ripe? ), and it has a pit. What is it?? Any thoughts? Any leaves left on the tree?